Thenen Gallery, New York, NY. New York, NY, September 10-October 3. New York, NY, October 18-November 6. Syracuse, NY, April 19 - May 20. 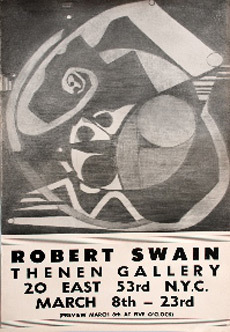 Swain’s work entered The Everson Art Museum permanent collection. Susan Caldwell Gallery, New York, NY, October 5 – October 23. Texas Gallery, Houston, TX, May 3 – May 31. 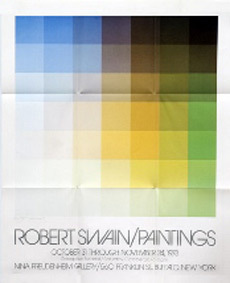 Paintings by Robert Swain, The Columbus Gallery of Fine Arts, Columbus, OH, December 5,1975 – January 4, 1976. Untitled, 84”x84” (1975), enters the permanent collection in 1976. Susan Caldwell Gallery, New York, NY. Toni Birckhead Gallery, Cincinnati, OH. Susan Caldwell Gallery, New York, NY. Robert Swain, New Paintings, Nina Freudenheim Gallery, Buffalo, NY, January 28 - February 22. 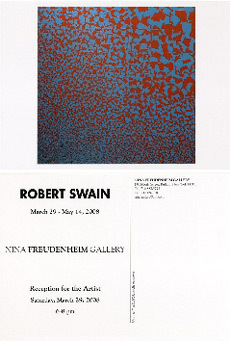 Robert Swain, Nina Freudenheim Gallery, Buffalo, NY, March 29 - May 14. Light and Line, Park Place Gallery, New York, NY. Bennington College, Bennington, VT. The Art of the Real: USA 1948-1968, The Museum of Modern Art, New York, NY, July 3 - September 8, 1968. Exhibition traveled to Grand Palais, Paris, November 14 - December 23, 1968, The Kunsthaus, Zurich, January 19 - February 23, 1969, and The Tate Gallery, London, April 22 - June 1, 1969. Robert Swain/Stylianos Gianakos, Fischbach Gallery, New York, NY. Thirty-First Biennial Exhibition of American Contemporary Painting, Corcoran Gallery of Art, Washington, D.C., February 1 - March 20. Untitled #7, 12’6”x26’ (1968 - 1969) won the Corcoran’s purchase prize and was acquired by the Corcoran Gallery of Art from the Biennial. Barry Flanagan/Robert Swain, Fischbach Gallery, New York, NY, September 27-October 16. Art on Paper, Weatherspoon Art Gallery, The University of North Carolina, Greensboro, NC. The George H. Waterman, III Collection, Museum of Art, Rhode Island School of Design, Providence, RI. 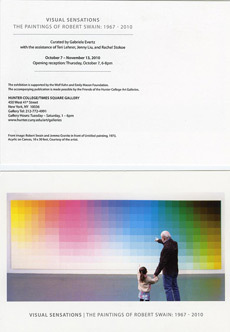 The Structure of Color, Curated by Marcia Tucker, The Whitney Museum of American Art, New York, NY, February 25-April 18. M. Knoedler & Co., New York, NY. Albright-Knox Gallery, Buffalo, NY. Fourcade, Droll, Inc., New York, NY. New York Studio School of Drawing, Painting, Sculpture, New York, NY, Benefit Exhibition. Fourcade, Droll, Inc., New York, NY. Eight Contemporary Painters and Sculptors,The Parrish Art Museum, Southhampton, NY, June 30 – July 29. Painting & Sculpture Today, Indianapolis Museum of Art, Indianapolis, IN. Texas Gallery, Houston, TX. Fourcade, Droll, Inc., New York, NY. Susan Caldwell Gallery, New York, NY. 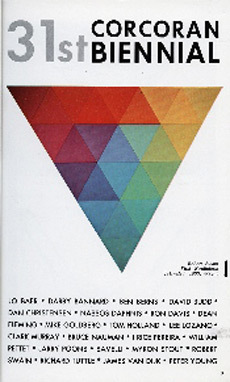 Color as Language, Organized by the International Council of the Museum of Modern Art. Exhibition travels throughout Central and South America, including museums: Museo de Arte Moderno, Bogota, February 24-March 30; Museo de Arte Moderno de Sao Paulo, April 18 - May 18; Museo de Arte Moderno, Rio de Janeiro,June 12-July 20; Museo de Ballas Artes,Caracas, August 3-September 14; and Museo de Arte Moderno, Mexico City,October 2-November 23. Fourteen Abstract Painters, Frederick S. Wright Art Gallery, University of California, Los Angeles, CA, March 25 – May 25. Susan Caldwell Gallery, New York, NY. 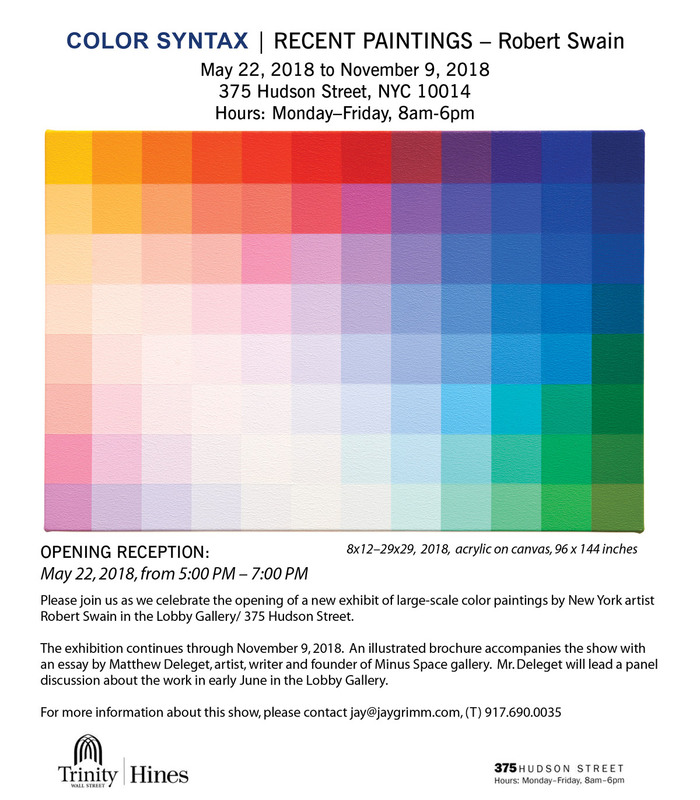 Contemporary Paintings: A Review of the New York Gallery Season, 1974-1975, Lowe Art Gallery, Syracuse, New York, College of Visual and Performing Arts. Contemporary American Painting, Lehigh University, Bethlehem, Pennsylvania. Susan Caldwell Gallery, New York, NY. Ten Painters, Georgia State University Art Gallery, Atlanta, GA.
Susan Caldwell Gallery, New York, NY, May 11 - June 4. Art in Public Spaces, Organization of Independent Artists, U.S. Court House, Brooklyn, NY. The Geometry of Color, Andre Zarre Gallery, New York, NY. 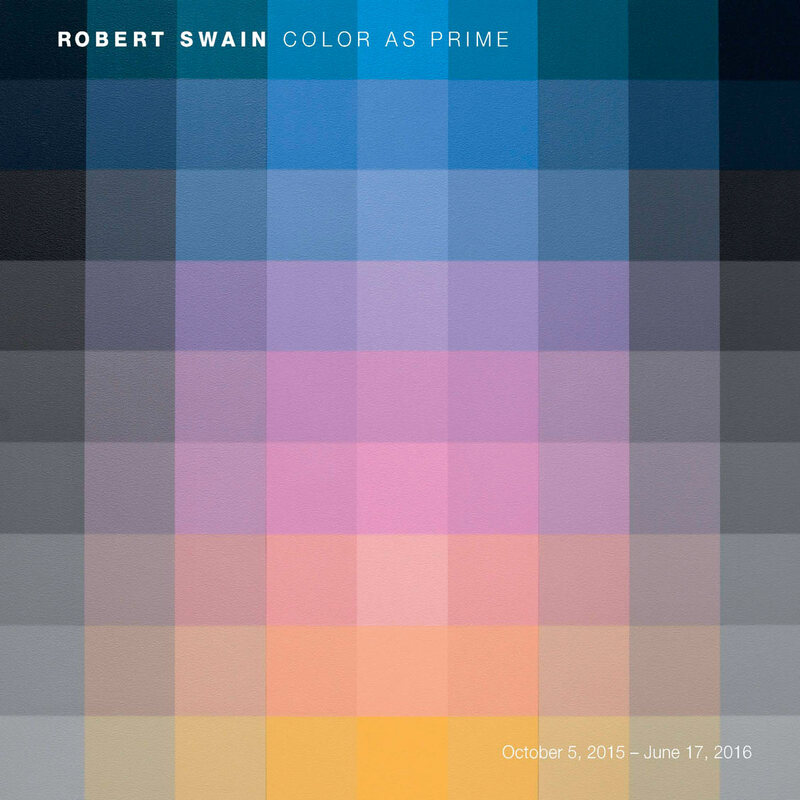 Robert Swain/Alan Uglow, Susan Caldwell Gallery, New York, NY, April 5-29. Generation: Twenty Abstract Painters born in the United States Between 1929 and 1946, Organized by Michael Walls, Susan Caldwell Gallery, New York, NY. From Allan to Zucker, Texas Gallery, Houston, TX. Geometric Abstractions, Curated by Clifford Singer,OIA Organization of Independent Artists, Brooklyn Law School, Brooklyn, NY. Gala Art Benefit for The Lighthouse, The New York Association for the Blind, 75th Anniversary, Susan Caldwell Gallery, New York, NY, March 12. Ciba-Geigy Collects: Aspects of Abstraction, Sewall Art Gallery, Rice University, Houston, TX, September 8 - October 24. Criss-Cross at Yellowstone Art Center, Yellowstone Art Center, Billings, MO. Works for Winter, Andre Zarre Gallery, New York, NY. 8 New York Artists, Art Sources, Inc., Jacksonville, FL. Given and Promised: 36 Painters: New Acquisitions from 1/26 – 3/14/82, The Metropolitan Museum of Art, New York, NY. For Tony’s Jane (1979) enters The Metropolitan Museum of Art’s permanent collection. Made in New York, Andre Zarre Gallery, New York, NY. Creative Artists Public Service Program, Painting Recipients Exhibitions: Lehman College Art Gallery, Bronx, NY. Brainerd Art Gallery, State University College, Potsdam, NY. Jeffrey Hoffeld & Company, Inc., New York, NY. 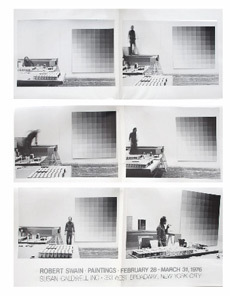 Repetitions: A Postmodern Dynamic, organized by Maurice Berger, Hunter College Art Gallery, New York, NY. Ten Gallery Artists, Nina Freudenheim Gallery, Buffalo, NY. Art from the City University of New York: Approaches to Abstraction, organized by Sanford Wurmfeld, Shanghai, China. The Geometry of Color, Andre Zarre Gallery, New York, NY. A Debate on Abstraction: The Persistence of Painting, Curated by Vincent Longo, The Bertha and Karl Leubsdorf Art Gallery, Hunter College, New York, NY, February 1 – March 10. Autumn on West Broadway, Andre Zarre Gallery, New York, NY. Grids, Curated by Ellen Carey, Vrej Baghoomian Gallery, New York, NY, September 15 – October 13. 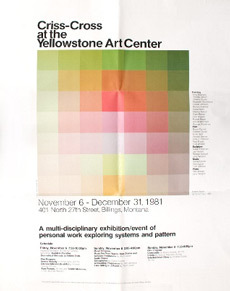 MFA Faculty Artists, 1981-1993, Curated by Susan Edwards, Hunter College Art Gallery, New York, NY, February 28 – March 30. Centennial Greetings, Denver Art Museum, Denver CO,February 6 – January 16. Hunter College Faculty Exhibition, Hunter College Art Gallery, New York, NY, February 28 – March 30. Alliance for Young Artists & Writers Benefit, New York, NY. Coalition for the Homeless Benefit, New York, NY. 45th Biennial Exhibition, The Corcoran Collects 1907-1998, Corcoran Gallery of Art, Washington, D.C., July 17 – September 28. The Faculty Show, Curated by Tracy L. Adler and Sanford Wurmfeld, The Times Square Gallery, Hunter College, New York, NY. Sparks Selects, Sparks Gallery, Denver, CO. Faculty Small Works, Hunter College, New York, NY, April 4 – May 11. Seeing Red, Part II: Contemporary Nonobjective Painting, Curated by Gabriele Evertz and Michael Fehr, The Times Square Gallery, Hunter College, New York, NY. Participates in panel discussion Seeing Red, Part III: Color as an Experience, A Two-Day Symposium on Contemporary Nonobjective Painting and Color Theory, at the Goethe–Institut Inter Nationes, New York, NY, March 14 - 15. Washington Art Association, Washington Depot, CT. Painted Parameters, Andre Zarre Gallery, New York, NY. Works on Paper by Painting Faculty, Glasgow School of Art, The Bertha and Karl Leubsdorf Art Gallery, Hunter College Art Department, New York, NY. Department of Art Faculty Exhibition, The Times Square Gallery, Hunter College, New York, NY, February 16 – April 16. The Optical Edge, guest curated by Robert C. Morgan, Ph.D., Pratt Manhattan Gallery, New York, NY. Op Art Revisited, Albright-Knox Gallery, Buffalo, NY, February 2008 – January 2009. Core of Substance, Andre Zarre Gallery, New York, NY, September 12 – October 17.